LinkedIn has taken a few cues from Facebook with the redesign of their corporate brand pages, which have been revealed to include much more of an aesthetic appeal. Back in September, LinkedIn piloted their new look company pages across a limited number of high profile organisations such as Philips and American Express – now, any company on Facebook can make use of the new features. Company updates are also featured much more prominently in the new page layout, once again much like Facebook. So now is definitely the time to start thinking about posting regular, engaging content in your company’s “voice”, as it is more likely than ever before to be noticed by clients, and just as importantly, by potential employees. Publishing functionality is now available to a select few on LinkedIn. Specifically, LinkedIn have chosen the 150 “most influential” individuals currently on the network and enabled users to follow them, in the same way that they might follow news by industry or company. The list comprises of a mix of high ranking professionals and inspirational public figures such as entrepreneur icon Richard Branson, life coach Tony Robbins, and US President Barack Obama. These 150 contributors will be sharing “unique knowledge and professional insights” in expanded, longer form blog posts in addition to standard issue status updates. Among the live content that has already been uploaded is an article on coping with pressure by journalist and publisher Arianna Huffington, a commentary on the use of social media in presidential elections by author Charlene Li, and a rather interesting piece on the relationship-building benefits of golf by Linda Coles. Diverse content, to say the very least. 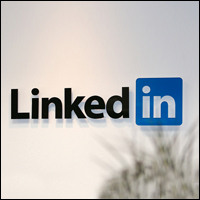 As always with any new social media development, it remains to be seen whether LinkedIn’s “thought leader” initiative will take off, but they are already looking to expand their well of talent. If you’re interested in becoming a LinkedIn influencer, visit LinkedIn’s Influencer Program page.